This plant has a large, but weak root system. I have tried to remove as much of the root system as possible, but it is very difficult because it breaks apart so easily. Does anyone know this plant? How concerned should I be about making sure all of the old roots are gone? I plan on planting a vegetable and herb garden. Looks like some form of wandering jew plant to me. If so, is considered to be quite invasive. 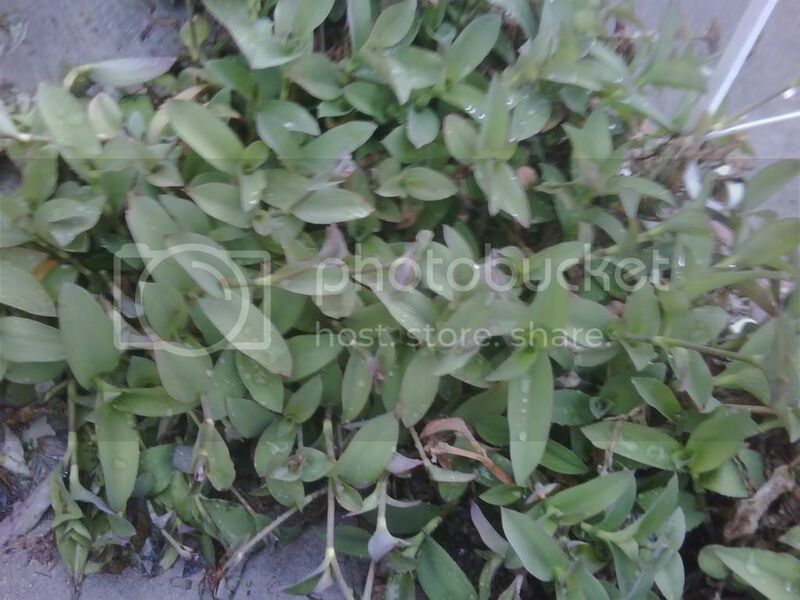 Google "wandering jew" or "wandering jew invasive" and you will get lots of hits. Looks like valerian to me. Was this picture taken recently? That's what mine looks like right now. Flowers come in about late March/early April. I usually cut them back beginning in mid-June, even though zillions of bees LOVE them. Do you know whether your plants flower and, if so, what the flowers look like? Thank you Cynthia and Alex! After "googling" both the valerian and the wandering jew plants, I have determined that I am dealing with the wandering jew plant. I want to get rid of this plant completely so I can start a vegetable and herb garden. Does anyone have any ideas on how to get rid of this plant? So far, I have read that a few different chemicals will do the trick (Triox will apparently kill the planet. However, it also apparently sterilizes the soil. I have read that Round-up and Vine-X dabbed or sprayed on the planet will kill it.). Ideally, I don't want to use a chemical because I want to grow and eat vegetables from this land . That is pretty simple then. I would simply pull the weeds getting as much as possible. Turn the soil so that any missed fragments have to work hard to get back to the sunlight. Perhaps try my border idea, from your post at the organic gardening site. Also after pulling the weeds and planting your garden plants, several layers (8-10) of newspaper covered by an attractive mulch, discourage most undesireables from moving into the garden space. I am going to go ahead with the plan you outlined. I will probably hand pull the plant again next weekend and then cover it with a tarp. I have plenty of landscaping to do while the tarp does it's work! However, now this brings up another problem area - my soil. From what I can tell without a proper pH test, I have very alkaline soil. Should I focus on removing and smothering the wandering jew plant before I work on improving my soil, or should I work on improving my soil at the same time? My initial thought would be to focus on killing the wandering jew plant first, then improve my soil and finally plant my garden. Any thoughts? Your plan sounds good to me. Removing Leaves off Tomato Plants?